You can get in touch with staff by calling 0161 795 3005 or emailing enquiries@cam.coop. Parents and carers wishing to get in touch may find it useful to speak to their child’s Learning and Pastoral Support Officer in the first instance. These non-teaching staff act in the capacity of a head of year. 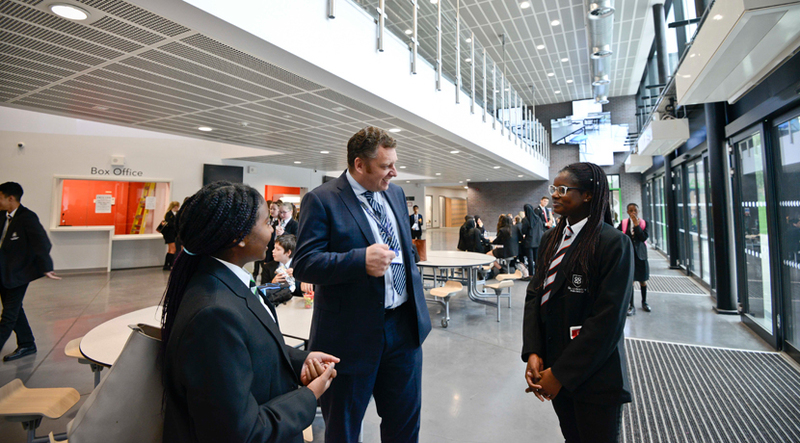 Each Year Group also has a named Assistant Vice Principal and Vice Principal who you can speak to about more serious matters. Your child also has a Form Tutor and a Head of Family who may be able to help you. Academy Leadership Team links: Mrs J Baldwin, Assistant Vice Principal & Ms R Hepworth, Vice Principal. Academy Leadership Team links: Mr R Haseler, Assistant Vice Principal & Ms R Hepworth, Vice Principal. Our Special Educational Needs Co-ordinator (SENCO) is Ms J McManus. Visit our SEND page for full details about how we support students with Special Educational Needs and Disabilities. Mr Brice is responsible for the leadership and management of the academy. Mrs McMorrow leads on the quality of teaching and learning, including staff training. She is the leadership team link for Special Educational Needs and Disabilities. Ms Hepworth is our Designated Safeguarding Lead and leads on pastoral care and behaviour. Mr Knowles leads on the curriculum offer and assessment. Mrs Marshall is the leadership team link for Year 11 and works to ensure they succeed in their exam year. Mrs Baldwin works with primary schools to support transition to secondary school. Mr Heaney leads on Independent Learning Tasks (homework) and e-Safety. The Chair of the Board of Governors is Mrs J McCall.